TV show dates: October 8, 2015 — present. Performers include: Bryan Cranston, Keegan-Michael Key, Heidi Gardner, Zeb Wells, Jillian Bell, Tom Root, Chris Pine, Breckin Meyer, Yvette Nicole Brown, and Seth Green. 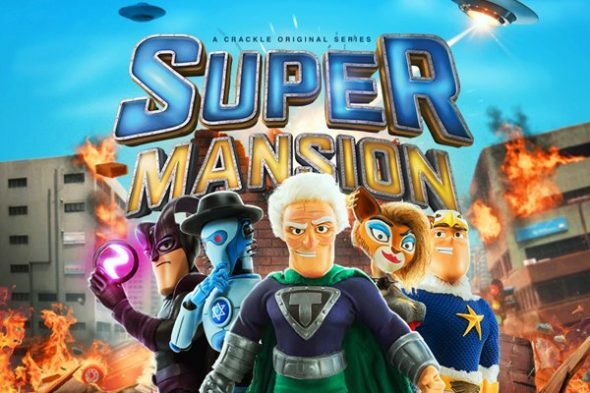 A stop-motion animated comedy from Matthew Senreich and Zeb Wells, the SuperMansion TV show follows Titanium Rex (Cranston) and the League of Freedom. Together, this group of superheroes employs their superpowers to fight for liberty, justice, and social relevance — or at least that’s their purpose. As the League of Freedom’s elder, Titanium Rex is keenly aware that this company is no longer what it once was. When they find themselves in a hole, these laid-back Millennials in his charge tend to keep digging themselves deeper. When things go wrong, the League of Freedom is usually the target for public backlash. Much to the dismay of the aging Rex, he must live with them at the SuperMansion and lead them in their half-hearted battle against the villains which plague Storm City and the human race. Since the only thing he might be worse at than losing is winning, can Titanium Rex restore the League of Freedom to its former proud glory? Stay tuned. What do you think? Do you like the SuperMansion TV series? Should this TV show be cancelled or renewed for another season on Crackle?